after two days of working from home I am back at the office and I love it! So far no one besides me is in and I really hope that it’s just me for the whole day. I need to work on my study and I can’t quite concentrate when there is anyone else working in my office. We start a quick chat, the telephone rings, someone comes in for getting a coffee and then my brain is gone. I was happy to stay at home yesterday as I expected to escape the terrible Tuesday maniac by this but I didn’t. In fact it was even worse because talking to people got more difficult. Nevertheless staying at home always grants great food for the day. Happy hump day my friends! Let’s celebrate WIAW together! 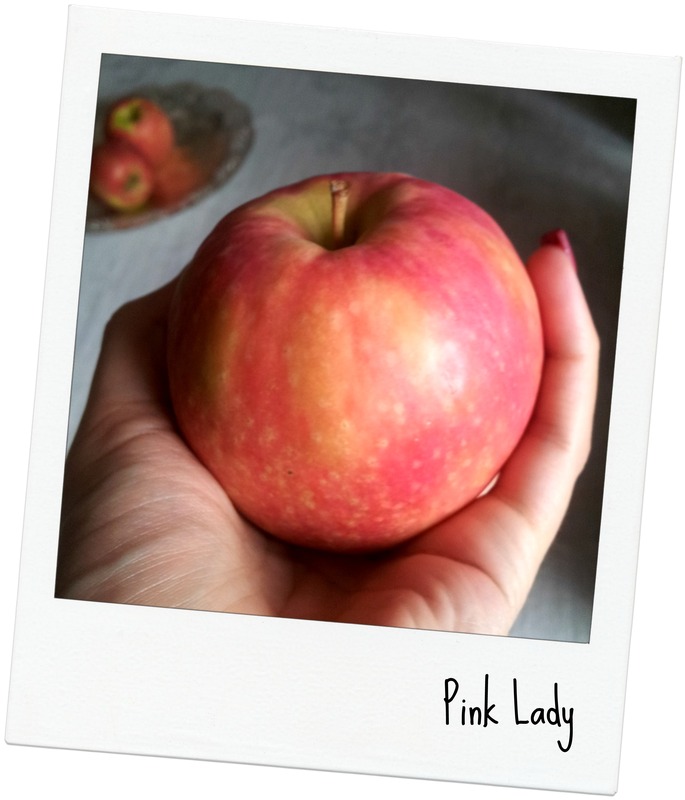 And many thanks to lovely Jenn, for hosting this fantastic link-up! Stefan got up pretty early and I also woke up when his alarm rang. I usually fall asleep easily but wind and rain beat my window and made enough noise to make me wide awake. So I got up and dragged my tired body on the couch. I first had a coffee and caught up on some blog reading/ blogging and then at 7.30 am I started my work. 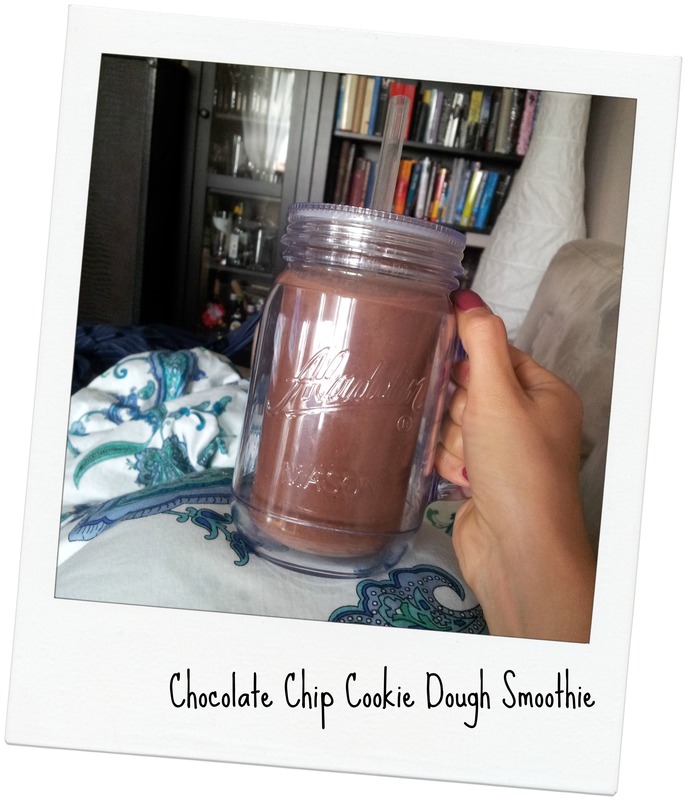 A little later I made a Chocolate Chip Cookie Dough Smoothie for breakfast! Liquid bliss! In the next breath it was noon! Time had rushed without me noticing! That hadn’t happened in a while! I needed a cheer me up and turned to cheese 🙂 Two grilled cheese sandwiches and an apple as a dessert. Totally hit the spot! Yummy! Short after lunch I had to go see another doctor but luckily everything went smooth and fast and everything turned out to be just normal findings. But better safe than sorry, isn’t it? When I came home I was not really hungry but with my power plate training scheduled in the early evening I thought it was appropriate to have a snack. I went for a maple syrup-coconut-oats concoction with some frozen berries on top. Yes, definitely a winner! I spend the rest of the afternoon working through my emails. I am so darn tired! That’s the dark side of being alone in the office. There’s nobody here to hold you awake 😛 Maybe I need a second coffee! Aww that little muffin is so cute! 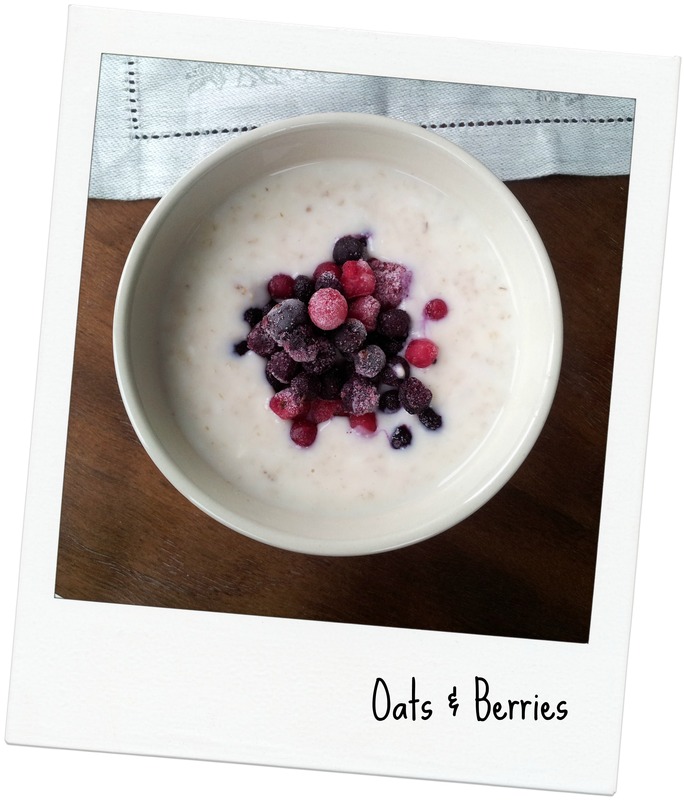 And I must say that bowl of oats looks mighty good! That smoothie sounds deliciouuusss. Have you posted the recipe before? Not yet but I’ll post it most probably next week! I love your smoothie mug! That is so cute! Thank you! It’s from Aladdin. I believe Target sells them. I love it! Chocolate chip cookie dough smoothie?! YUM! 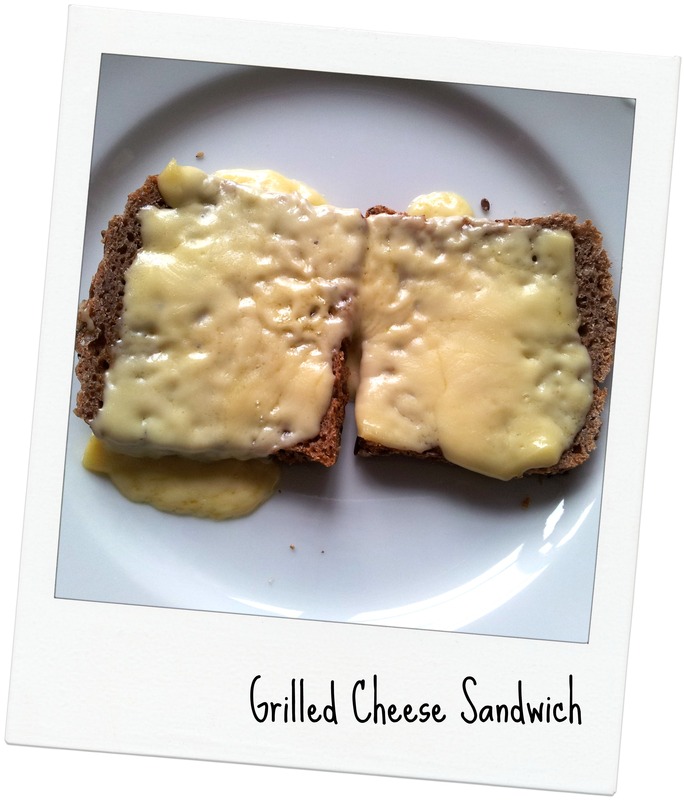 Mmm I’ve been craving grilled cheese all week – this may have pushed me over the edge! LOL!!! 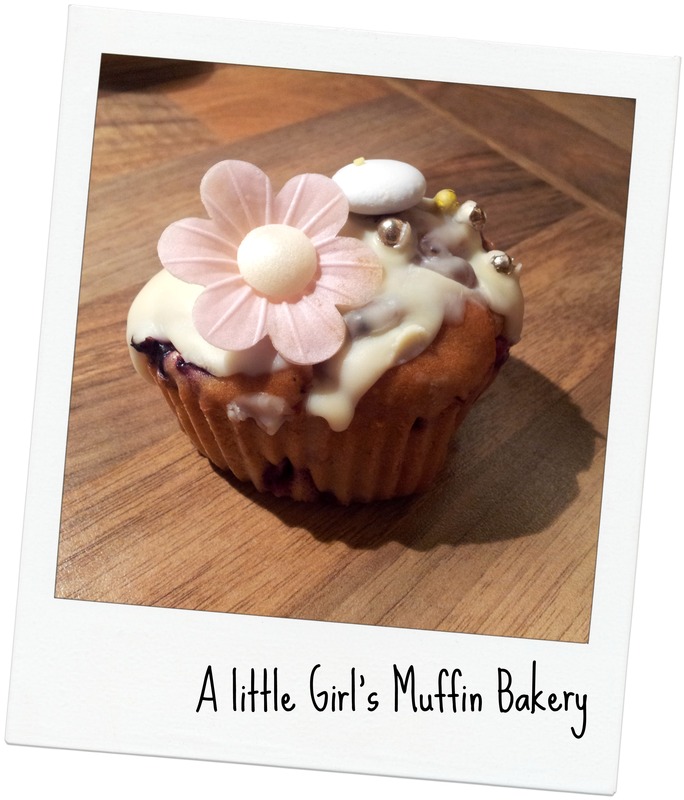 A little girl’s muffin. And that grilled cheese……the bread looks like typical German bread. Love it. I just love a big old plate of roasted veggies at the end of the day, the beginning of the day or pretty much anytime at all. 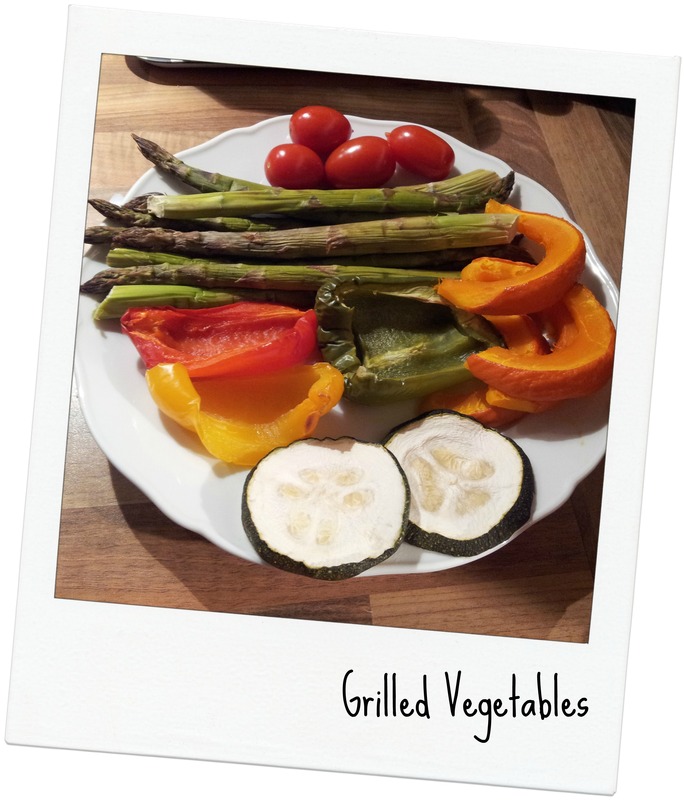 Your eats look great, especially those veggies! !